HWPL opens to interfaith dialogue~! 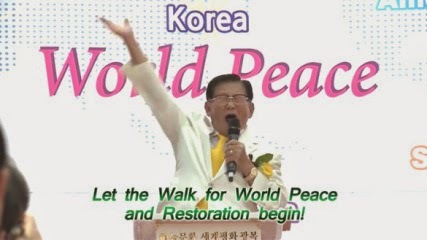 Now, soon it will be 5.25 HWPL Day! Do you know May 25th, HWPL Day? announcing the beginning of an era of peace. at the Peace Gate in Seoul South Korea. 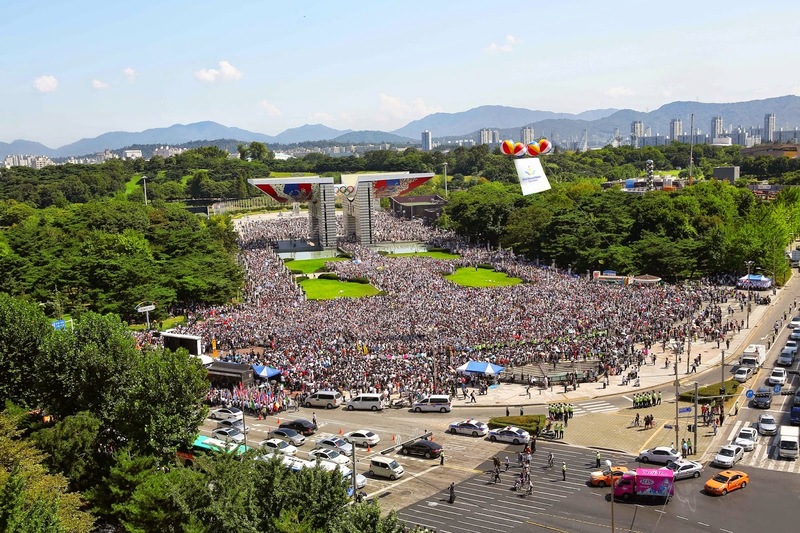 ※ Since Religious leader Man Hee Lee of HWPL announced the Declaration of World Peace on May 25th , 2013 when 30,000 international members of IPYG led the Peace Walk in front of the World Peace Gate in Seoul, South Korea, many cities around the world have designated May 25th as the annual HWPL Day. Greetings everyone, it is pleasure to meet you. This day will be remembered forever. The angels of heaven will be with us. And our hopes here today, will surely come true. The Heavens and the Earth formed by the hands of the Creator have been given to humanity as an inheritance. In all the universe, life in its vast splendor exists only on our world. The life that grows on the earth is sustained from above – by light, by the rain, and by the air they provide unconditionally to all living beings. We have received the precious gift of life from above, let us give glory to heaven, and live in peace on earth. This is the truest teaching of heaven. With this eternal gift – the grace and life we have received – are we entitled to fight, kill and destroy one another? We cannot claim to desire peace and continue to provoke one another, causing conflict for the sake of valuing our own national interests above those of others. This will only take the lives of the youth, wasting them in the futility of war. This is not a legacy we can leave to future generations. Of what use is a young life, born in our day and age, if it is thrown away in this manner – thrown away without having had a chance to bloom? What price can compensate for the loss of a life? Do these young souls have another chance at life? We call on the heads of state of every country to sign an international agreement – a commitment to bringing all wars to an end. We ask them to do this from a spirit of deep-seated love for the people of their country. 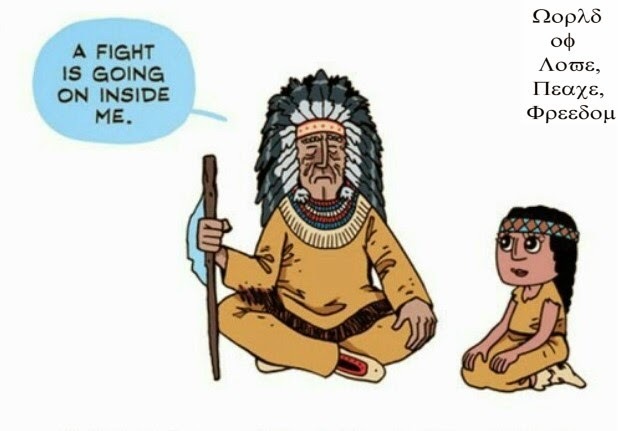 The only way to stop the fighting and pointless, tragic deaths, is to stop fighting. Nobody can ask for anything greater than this, and know that your efforts – the efforts of the young people of the world today in pursuit of peace – will remain as a never fading light of life for all future generations. Furthermore, we call on every person, every man, woman, and child in the world, to pick up the mantle of peace. In whatever way you can, we ask that you work to further the cause of world peace and restoration, making it a reality in your direct environments. 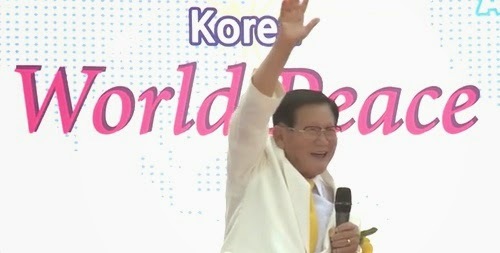 5.25 HWPL DAy, Man Hee Lee Quotes with interfaith dialogue: "Let the Walk for World Peace and Restoration begin!"